The Vail Summer Bluegrass series is for all ages and takes place under the tent outside the Arrabelle in Lionshead. What: Vail Summer Bluegrass performances. Where: Bluegrass tent in Arrabelle Square, Lionshead Village. When: July 4, 11 and 18. During July, the Vail Summer Bluegrass festival rolls on starting with a daylong event on Wednesday, July 4. All shows are free to attend in the Vail Summer Bluegrass series and are from 6 to 9 p.m. (excluding July 4) and take place at the tent in Lionshead Village at Arrabelle Square. In its fifth year, the Vail Summer Bluegrass festival is drawing some big names in the genre, including Bridget Law, Tyler Grant and Horseshoes & Hand Grenades, as well as some up-and-coming local and regional bluegrass bands. 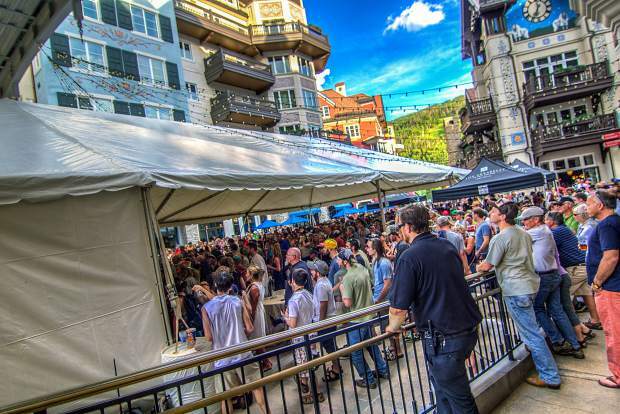 Kicking things off at noon on the Fourth of July, following the Vail America Days Parade, the Vail Mountain School’s CJM Jazz Trio perform followed by Denver up-and-comers Boot Gun, Chain Station and Drunken Hearts. The evening wraps up with headlining band Horseshoes & Hand Grenades — a lively bunch out of Wisconsin who made a splash at WinterWonderGrass Festival in Steamboat Springs. On July 11, critically-acclaimed songwriter Tyler Childers takes the Vail Bluegrass stage amidst a summer tour that hits Bonnaroo, the Ride Festival and more. Childers’ latest release, “Purgatory,” was produced by award-winning artist Sturgill Simpson. Vail locals Hardscrabble will provide support. Vail Bluegrass wraps up on July 18 with the Everyone Orchestra. Conductor Matt Butler will lead his ever-changing lineup of musicians through two hours of nonstop improv. This time the band features Drew Emmitt (Leftover Salmon), Rev. Jeff Mosier (Aquarium Rescue Unit), Bridget Law & Darren Garvey (Elephant Revival) and Tyler Grant and Adrian Engfer (the Grant Farm). Support will come from Durango’s Liver Down the River. As always, Vail Bluegrass will partner with and recognize a local nonprofit that goes above and beyond in its respective space. This summer, the festival is working with town of Vail’s Restore the Gore initiative to kick back some of the funds raised through on-site raffles. For more information, visit http://www.vailbluegrass.com.